The Best MariaDB Blogs from thousands of MariaDB blogs on the web using search and social metrics. Subscribe to these websites because they are actively working to educate, inspire, and empower their readers with frequent updates and high-quality information. MariaDB newsletter is a comprehensive summary of the day's most important blog posts and news articles from the best MariaDB websites on the web, and delivered to your email inbox each morning. To subscribe, simply provide us with your email address. CA About Blog Check here for the latest blogs from MariaDB. Learn more about open source databases in our Knowledge Base by subscribing our blog. Facebook fans 36,729. Twitter followers 55,495. About Blog The MariaDB Foundation supports continuity and open collaboration in the MariaDB ecosystem. The Foundation guarantees that there is a global contact point for collaboration and that the community can always rely upon MariaDB Server. Paris About Blog Serge Frezefond is Experienced Solutions Architect with a demonstrated history of working in the computer software industry. Strong engineering professional with a Master Degree focused in Computer Science from Université Paris Sud (Paris XI). San Francisco, CA About Blog A subreddit for MariaDB database. Facebook fans 1,217,539. Twitter followers 583,503. Norfolk, UK About Blog Andrew Hutchings (aka LinuxJedi) has worked on many of the Open Source software projects that make up the Internet. He now works from home in the UK for MariaDB developing their MariaDB ColumnStore engine. 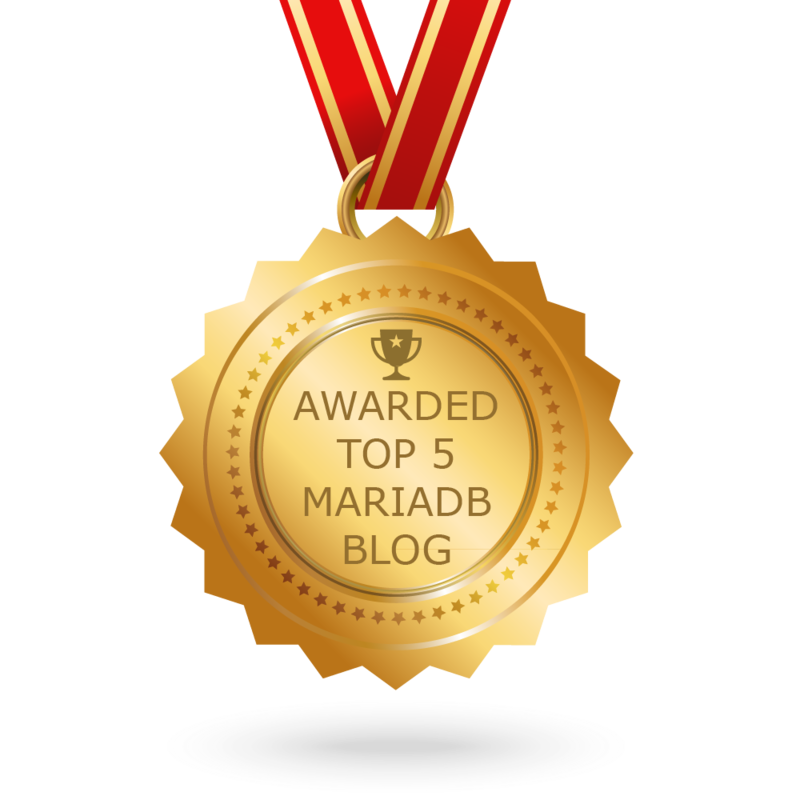 CONGRATULATIONS to every blogger that has made this Top MariaDB Blogs list! This is the most comprehensive list of best MariaDB blogs on the internet and I’m honoured to have you as part of this! I personally give you a high-five and want to thank you for your contribution to this world.